Here at GJ Plastics, we offer a range of Correx Signs printing, to sheets & boards to suit your outdoor sign requirements. Correx ® boards in any shape. Cheap outdoor Correx ® signs printing. 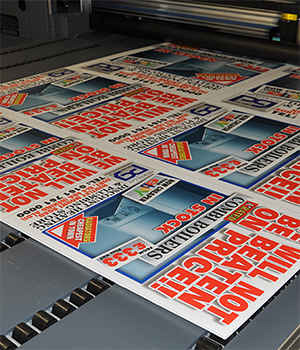 Printing for cost effective promotions. Attention-grabbing and stunning quality printing offer the perfect solution for outdoor and internal promotions helping to get your companies branding noticed. What is Correx ® Board? Correx board is a handy material for indoor and outdoor signage, an excellent solution for advertising material. Material is an extruded twin-wall fluted polypropylene sheet that can withhold it is a strength. The corrugated plastic board is perfect for outdoor or indoor advertising. 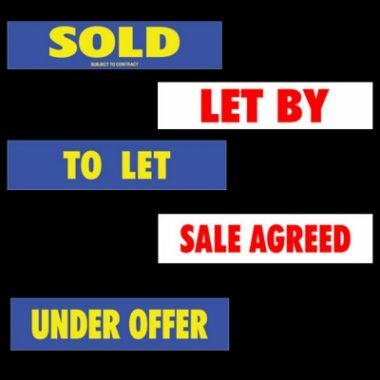 Whether you are looking for letting agency signage or promoting an event, we can help. Benefits from printing Correx Signs boards. Far more durable than corrugated fibre board. Versatile material so can be used for any design. Fully recyclable so great for the environment. Available in A4, A3, A2, A1, A0 sizes. Provided in standard sizes however custom sizes available. Long lasting quality print thanks to UV inks used in the digital printing process. Bright and attractive way to advertise your company, property and more. Corona treated to keep the print long-lasting. Available in 4mm standard thickness and 6mm, for an additional cost. Correx ® boards, water resistant, thanks to being combined with the latest waterproof UV inks, making them ideal for outdoor as well as indoor. Extensively used for outdoor signage, such as estate agency sign boards, it is highly resistant to impact contact and winds. Perfect for Indoors, for promotions and branding, the material has increasingly become more widely used for pet cages and in hobbies such as aeroplane crafting. Fluted Polypropylene sheet can be utilised for point of sale promotional items, such as dump bins. They can be cut or even folded in to shape (using our specialist machine), providing you with a realistic, affordable digital printing job. The material has excellent chemical resistance; corona treated so easy to direct print. Correx ® sheets are extremely strong, durable and crack resistant making them very economical for promotions, outdoor advertisements and more. Using printed signs for advertising. 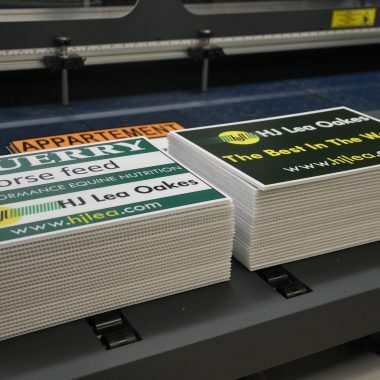 Correx sheets, boards and signs for your advertising could be the best decision you have ever made! They will save you money in the long run, increasing your return on investment overall. Communicate your desired message brightly and attractively. Withstanding most weather conditions from harsh sunlight to winter storms, thanks to the corrugated nature of the plastic and the print methods used to create each design. Bespoke shaped advertising includes person cutouts. Proud suppliers of Correx ® boards, sheets and signs. Having produced these for many clients and customers in the past and have a happy customer base. We pride ourselves on the quality of our Correx signs printing services. We can help you, no matter what your requirements. If you are not sure of what type of sign board you need, just give us a call today. Our team can speak with you about the options we have on offer and help you determine which would be the best Correx option for your advertising needs. Correx ® is a widely used signage material, providing you with a low cost advertising promotional product. Printed signboards can be produced to any shape, offering the perfect solution for letting boards, construction industry signage, life size character, people standees, lamp post signage or even printing placards. 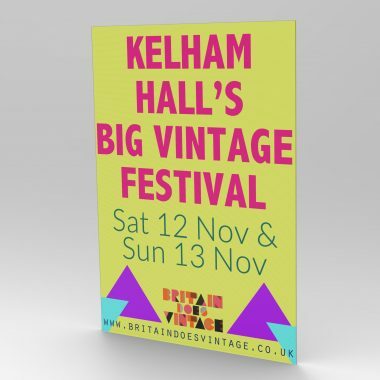 Printing on signage panels is a very effective and efficient method of promoting events, festivals or for any other temporary signage needs. So, why not cause a stir and get noticed with our excellent value cost effective correx printed panels? How are the Correx boards printed? 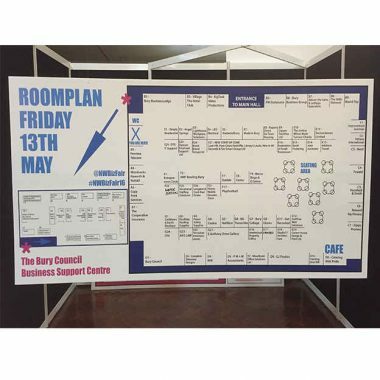 The board directly printed on using UV stable inks on one of our flatbed printers, which is also capable of direct printing, not just correx but a variety of plastic sheets, such as Dibond, Acrylic and Foamex sheet. 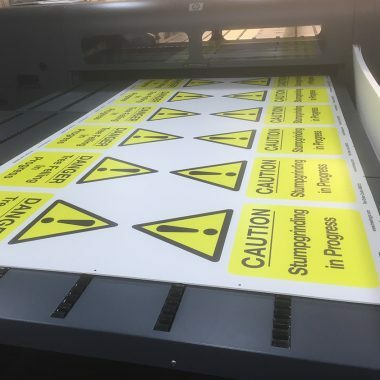 If cutting to size or shape of your correx signs are required, we transfer it to our flatbed Summa cutter which reads printed location marks and machines it to the required size and shape. Printed Signage in Standard and custom sizes. 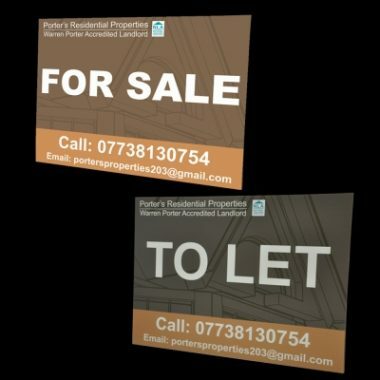 Offering various sizes of printed boards such as 8ft X 4ft (2440mm X 1220mm), A0, A1, A2, A3 and A4. However, if you require boards cut to custom shape or size, drilled holes or struts attached, we can do that for you. A4, A3 Correx Signs Printing. 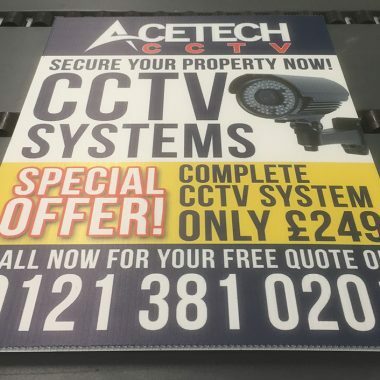 Small A4 and A3 signage can use for street advertising, lamp post signs, fence advertising (i.e., security boards) or any place where there is limited commercial advertising space available. 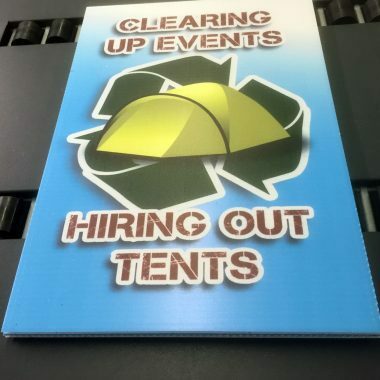 If you wish to have a promotional offer, event, or introducing new products or services, organising car boot sale or any other event A3 or A4 signs provide the perfect solution for you. Excellent value pricing, combined with versatility allows you to work comfortably within your marketing budget. A0, A1 and A2 printed correx sheets. These more prominent printed signboards, offer fantastic value and have many possible applications. 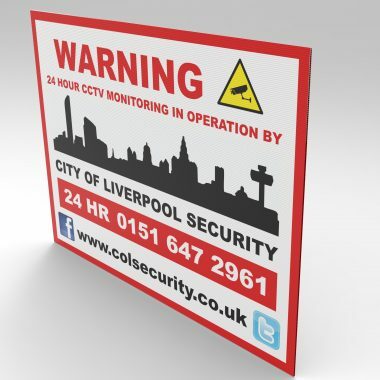 The durability of the panels utilised as fence posters, rigidly framed graphics or even window graphic panels. This size is ideal for advertising pub menus, events or commercial properties for sale (estate agents signs). Do you offer a design service for signs? Yes, GJ Plastics can happily quote you to design your signage we have a team of graphic designers and a product design department to do this or if it is just advice you need to call us always happy to help. Can you produce printed custom shaped signage? Yes GJ Plastics Ltd has highly advanced machinery and can cut into any shape you want. We print location marks onto the material; these are then read on our specialist machines and then cut to your required profile. So if you want a printed circle, triangles, and arrows or rounded corners, we will be more than happy to quote you. Can you have both sides of the Correx board printed? Yes just click on the tab on the product for pricing or if custom shape, please contact us for a quotation. What colours of Correx boards do you have? The standard material used by us is usually white, then we can print up to full colour directly to the sheet, this is by far the most cost effective method. We can print on coloured board which is available in black, blue, green, and red and yellow, however; this would incur additional charges for the coloured materials. Why use our Correx signs printing? GJ Plastics Ltd understands the aesthetics and importance of quality and brand awareness. We not only have experienced and talented graphic designers but also fantastic product designers to assist you in making your correx advertising vision become a reality. We produce printed correx boards as well as correx ® product displays for many major blue chip companies throughout the UK and worldwide. We are very proud to have won a variety of awards for our training, manufacturing and sign making. Materials and UV inks we use are the best-branded products to ensure the highest quality levels maintained. Our printing machines are under current service plan agreements, maintaining machinery to the highest level to meet the demand in the large format printing market. All our printing software is on subscription ensuring we have all the latest upgrades and new features available, which provides we consistently offer excellent colour management. Further discount Prices are available on printed correx, foamex, and Dibond and acrylic signs. As well as roller banners and PVC outdoor banners for trade only. What some of our customers had to say about our correx signs printing services and other printing services. Bernard; “GJ Plastics gets five huge stars. This is what you call customer service. I am utterly delighted with my new signs. The chaps installing them this morning were polite and made sure before fitting them that the position was right. Adam sorted out my logo for me spending a good hour getting things right. Simon was very efficient managing the project and was on top of the job from the beginning. The visit to his premises was impressive, machinery looks very high tech, and things organised. Roscoe H: “A friend of mine purchased outdoor signs from GJ Plastics and recommended me to them for my shop. I was unsure at first until seeing the sign they did for him. after that my mind was made up and i decided to go down and speak to them. 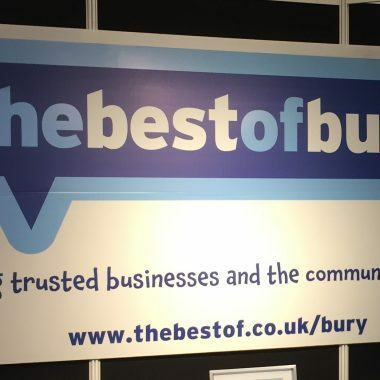 Tony: “I run a successful live music venue and have used various national design companies for advertising banners but have never been truly satisfied with the quality of service or price I received until I started using GJ Plastics.